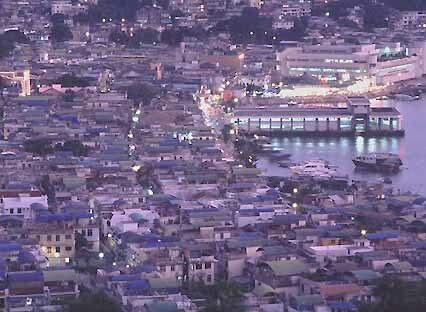 Cheung Chau is essentially two lumps of granite that have been weathered into hills and headlands, linked by a causeway. Along the eastern shore of the causeway is a sandy beach. To its west is the harbour. The causeway is crammed with housing. 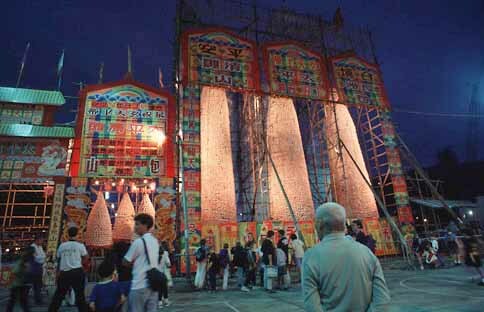 Pak Tei temple is the focus of events during the Bun Festival, which is held each spring. 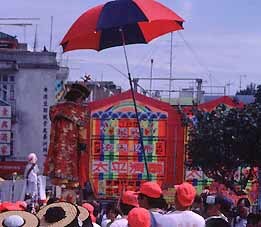 including an afternoon parade with children made up like dolls. The Bun Festival is partly an exorcism, and culminates in wandering ghosts being banished to the underworld - till next year, that is. Elsewhere are temples to Tin Hau, goddess of fishermen, and shrines to the Earth God, who looks after the neighbourhood, and is tended to by elderly women. A centrally located banyan also has a shrine; it's reputed to be the source of Cheung Chau's prosperity. 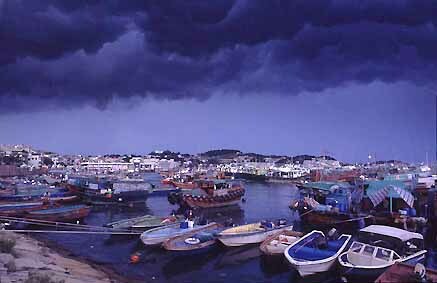 The island is home to a substantial fishing fleet; boats pack the harbour at Chinese Year, and when typhoons threaten. Thanks especially to the beach, Cheung Chau is popular with Hongkongers, who mostly visit on daytrips. As well as swimming and relaxing on the beach, some people rent kayaks, or windsurf. A Cheung Chau girl became a major Hong Kong celebrity when she won the Olympic gold medal for windsurfing in the Atlanta games. 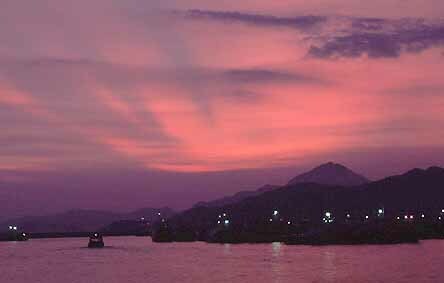 Late on clear summer days, the sun drops towards the peaks of Lantau Island, which dominates views beyond the harbour. Bathed in a warm yellow glow, an intense blue sky above, Cheung Chau seems far from the madding crowds of Hong Kong; instead, it seems more an island of the South China Sea. 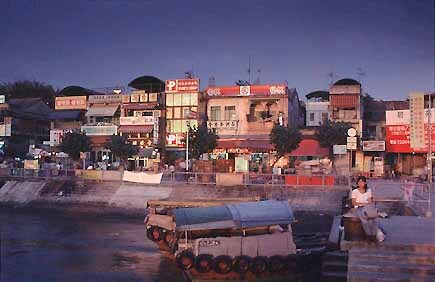 Cheung Chau Hong Kong - website on the island, including photo gallery and forum.